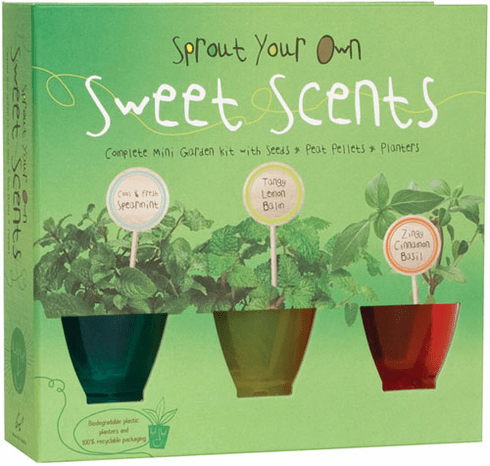 This clever kit has everything young gardeners need to grow three plants with sweet-as-candy scents. Easy-to-follow instructions make growing these fragrant plants simple, fun, and fast, as the plants will have scented leaves in as little as two weeks. The book features recipes and herb-drying instructions so kids can make use of their harvests. Book with growing instructions, plant science and history, science-fair experiments, recipes, and more!